The unique intelligence and creativity of our race will be needed — and will need to be increased — if we are to have the brain power needed to meet these catastrophes. I have also shown you that our race and civilization — far from increasing our racial quality and advancing in intelligence and consciousness — are now moving disastrously, and almost certainly fatally, in the opposite direction. But today we look even farther into the future. Let us assume that European Man can evade near-term catastrophes for a few more centuries, can survive racially, and can avoid running out of fossil fuels before we “break the surly bonds of Earth.” Let us assume that we successfully terraform Mars, and become an interplanetary species. What then? The problem of cosmic impacts would continue, wherever we set our foot. And even greater challenges to our survival and continued evolution loom in the far distant future — much more terrible than those I have mentioned so far, and physically and mathematically certain to occur. It has taken us 3.5 billion years to go from the first primitive organisms to Pythagoras and Pierce. Five billion years in the future, the Sun will become a red giant and in about two billion years after that, it will engulf the Earth, which long before will have had every single life form on its surface burned and boiled into nonexistence — and Mars will not be far behind. To escape, we will have to have become by then not just an interplanetary species, but an interstellar one. On last week’s program I introduced the idea of entropy — the idea that the Universe itself is winding down. If Life successfully meets — if we meet — all the other challenges we must overcome, the final challenge will be entropy. Entropy is not some speculative fantasy or off-the-wall theory. It is one of the bedrock natural laws of the Universe. It is implicit in the Second Law of Thermodynamics. I am the one who’s being speculative when I suggest that entropy can be defeated. Temperature and energy gradients tend to blur and disappear as matter, heat, and energy spread out and eventually reach equilibrium. Given a hot gas released into the atmosphere of, say, your kitchen, the gas will spread throughout the room, raising the temperature of the air in the room and itself becoming cooler in the process, until it is thoroughly mixed and the temperature reaches equilibrium. An ice cube in a cup of hot tea will melt until the tea and what used to be the cube are irretrievably mixed and the temperature is averaged out. Then the remaining heat in the tea radiates into the room and the temperature of the tea and the air in the room become equal. If the room is heated by your oil burner in the basement, the heat radiates from your less than perfectly insulated home and adds a minuscule amount of random molecular motion (that is, heat) to the Earth and, once the oil inevitably runs out, your home and the surrounding atmosphere will become the same temperature. By heating your home with that oil, you will have also broken down the complex organic molecules in the oil into simpler substances to create the heat, an irreversible process. At the same time, the Earth is being warmed by the Sun, a ball of concentrated energy which is likewise spreading its energy outward — energy that must ultimately be more and more equally distributed throughout space. Therefore the Sun must go out — and its energy, and the energy of every Sun, must become unavailable for any further work as it becomes an undifferentiated and thinly-spread cloud little different from the apparent vacuum of interstellar space. Gas does not segregate itself from the air, flow into open valves, and fill and pressurize empty helium tanks. Ice cubes don’t reassemble themselves after melting in your tea. Random molecular vibrations don’t align themselves to turn combustion byproducts back into petroleum. 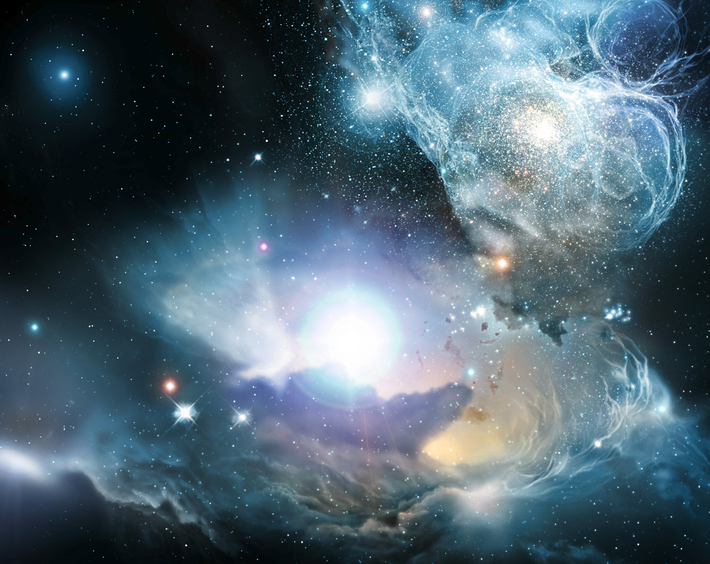 The clouds of gas left over after supernovae don’t reassemble themselves into solar systems and stars. Saying these things is just another way of saying that time flows only in one direction. And that direction is this: toward ever more disorder and randomness; toward a breakdown of all concentrated energy and matter into uniformity. It is, in fact, this universal tendency to wind down — to increase entropy — that defines the direction of time itself. Eventually the heat of every star will have spread out as much as it can. At that point there will be no such things as “warmer objects” or “cooler objects.” Everything will be the same very, very low temperature. At that point, the Universe will attain what is called a “steady state”: Since no energy differences will exist any longer, no work can be done and nothing significant or noticeable can or will ever change again. The universe will be almost a vacuum. The randomly-moving photons and electrons that remain will be very far apart and will hardly ever interact. All processes which consume energy, including life, will no longer be able to exist. The Universe itself and everything in it is winding down. Yet there is a force in the Universe which appears to act in quite the opposite way. That force is called Life. Living beings began with a single molecule that was able to replicate itself and have so far assembled themselves into beings with a brain seven inches across that has a thousand times as many synapses as there are stars in the Milky Way galaxy. Through Natural Selection, life becomes ever more complex and ever more conscious as time goes on. Living beings not only are comprised of more and more complex and more and more organized structures, but the things they do create organization and complexity on an ever-increasing scale. Behold, the primordial ooze has become Athens and Paris and the Saturn V rocket. Almost everything that we living beings are and do seems to run counter to entropy. Now you may say, and rightly so, that living beings really don’t violate the law of entropy. Though they appear to act in an anti-entropic way, they actually increase entropy by using up available energy and dispersing heat and in other ways. And I know that. And I also know that as I have entered into discussion of the farthest future challenges Life must face on this program, I have also entered the realm of speculation. But living beings are more than just matter in motion. I can inject you with a compound that causes your death and no matter whatsoever has been destroyed. Instead, a process has been stopped. We are not like clockwork machines. We are instead like fire. Fire is real. But fire is not matter. Fire is something that is happening to matter. We also are something that is happening to matter. We are a process. We are a process that is not yet completed. Who is to say what the end of this process may be? Perhaps this process has just barely begun its initial stages. Perhaps this process is one that creates Universes and ordains natural laws. Now you may also say, and rightly so, that these events are in the far, far distant future. But does that make them any less significant? If the extinction of our race at its current state of development is a cosmic catastrophe, how much greater a catastrophe would be the extinction of our even more advanced descendants, whose capabilities and understanding of their mission might well be a hundred million times greater than ours? What if, by retarding our evolutionary advancement now even a little, we set our descendants back enough so that they cannot deal with the inevitable challenges they must face? Is there any greater sin than that? Now I urge you who are listening to my words to go to https://nationalvanguard.org and look at the text version of this broadcast. There you will see two of the most important graphs you will ever see in your life. 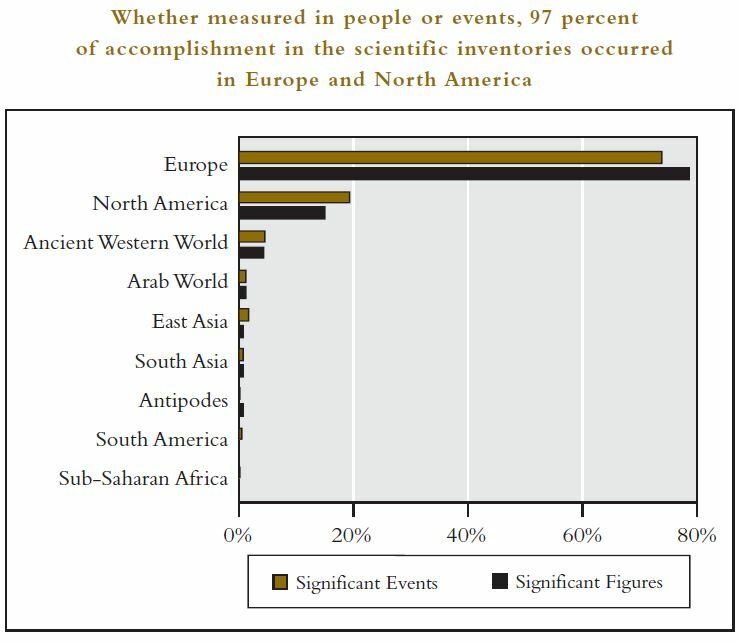 They are taken from Charles Murray’s book Human Accomplishment. These graphs show us that of all the significant scientific accomplishments (and figures) in human history, 97 per cent. 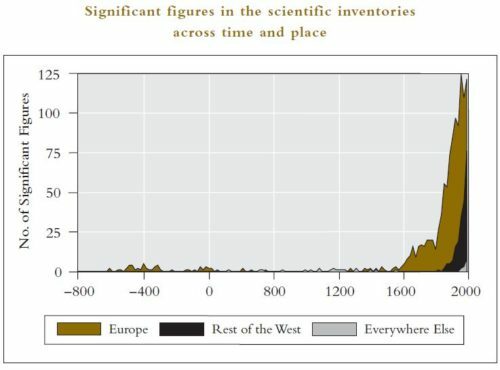 of them took place in (or were from) modern Europe and North America, and that of the remaining three per cent., almost all took place in the ancient Western world. Only a minuscule fraction took place in the Arab world, East Asia, and South Asia combined — or anyplace else on this planet. 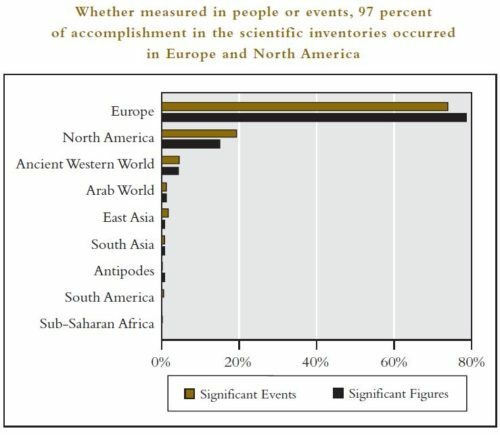 In other words: Virtually all scientific accomplishments have been made by Whites, and virtually all the great figures in the sciences have been White people. So now, after taking a deep breath and assimilating the implications of those two graphs, consider again my speculations about defeating entropy and overcoming the inevitable death of the Universe. Do we have to know for certain that entropy — or the expansion of the Sun — or comet impacts with the Earth — can be defeated at all to know that the survival and advancement of the White race is the best and indeed the only known chance for defeating them? And that the real categorical imperative of our lives must be to advance our race to the point of assured survival and absolute dominion over our own destiny? — and that to divert any energy and any time away from that purpose, to say nothing of contravening it, is a sin the punishment of which should be and will be certain death? There is something special about our race, the European race. Something that parallels and intersects with intelligence and creativity and character but is not exactly defined by any of the three. 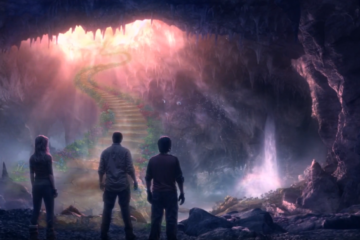 Something which never had a name — until Dr. William Pierce called it the Divine Spark. Something which makes us unique. 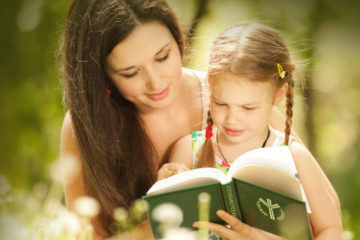 Something which must not be destroyed, as the Jews and their accomplices are trying to do. Something which must not be lost through blindness or stupidity or laziness. Something which alone gives us hope of conquering time and space and entropy, of birthing new universes and life everlasting and bringing about a new, greater, and unimaginable consciousness and power which we, in our limited understanding, can only call God. Who invented gunpowder and the first fire arms? Was it really the Chinese? I was looking up the invention of gun powder in this book. It states the Chinese gunpowder has a different account as to who invented it by westerners then it just cuts off the whole page! It seems wherever there’s a credit for a white man a certain people want to cut it off and give the credit to someone else. I am saying this because it seems very sceptical and even doubtful to me how a people that hadn’t even invented a wheel until the purely Aryan scythians introduced it to them. So how could a people that couldn’t even invent more primitive inventions come up with something as complex as gunpowder and fire arms. Please answer my question when you can Mr. Strom, this is something that’s ever puzzling me! The ongoing process of Creation and Destruction is infinite. Our opportunity is to supersede this Creation/Destruction cycle, at least for the ‘moment’. After all we’ve been through, it would be a real shame to blow it now.